Privacy-focused search engine DuckDuckGo today announced that it is using Apple's MapKit JS framework to power the map and address-related searches that its users conduct on both mobile and desktop. 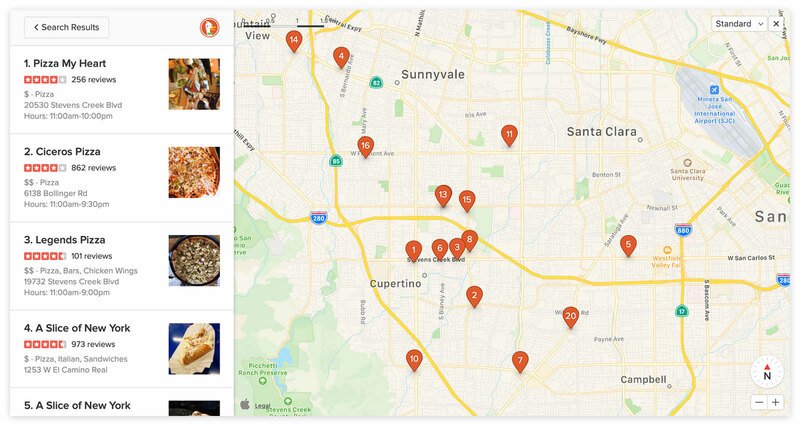 MapKit JS allows DuckDuckGo to provide users with improved address searches, new visual features, enhanced satellite imagery, and continually updated maps without sacrificing privacy. DuckDuckGo says that Apple Maps will be available embedded within private search results for relevant queries and from the Maps tab on any of the search result pages. To bring up a map option, users can search for an address, a geographical place, a local business, a type of business, or places nearby. DuckDuckGo does not collect or share any personal information from DuckDuckGo users, a policy that extends to the Apple Maps integration. Identifiable info like IP address is not provided to Apple, and for searches where approximate location is gathered by the browser, it is discarded immediately after it's used. I love DuckDuckGo, and this partnership makes perfect sense. Both DDG and Apple are nailing the privacy stuff at the moment. FAN-*****-TASTIC! So glad I left that garbage called Google and went with DDG! Glad my preferred search engine is continuing to improve. Keep it going DDG. DDG just keeps getting better. It's a clever move. Helps with PR on Apple being privacy-focused, and also helps improve Maps data, and DDG gets a mapping partner they probably have influence with, and possibly don't have to pay. Win-win. Fantastic!! One less reason to use Google. Apple needs to be [S]doing[/S] supporting & encouraging more of this. Yep big plus here for Duck, Duck Go. The search results are sometimes not as complete as Google, but they also don't have as much paid spam, fake news, and political correctness in their results. Apple didn't do anything in this case. Their MapKit framework has been available to anyone for years but no one has taken them up other offer AFAIK. DDG should be given the credit here for choosing a company that aligns with their privacy policies. Now if Apple would just dump Google as default search and go with DDG, I would really be impressed because they would be leaving billions on the table and actually putting their customers before profits. I have used DDG for a few years now. I have never missed google search. Great news they are expanding and using Apple maps.